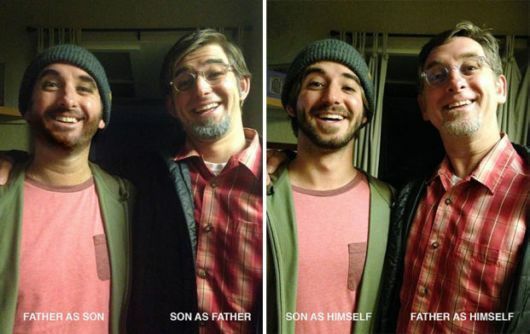 Father and son Halloween costumes can be a great way to bond and have fun, but what this father and son did for Halloween left everyones mind in a twist. They say that you look a lot like your parent’s and that’s certainly true for this duo who swapped clothes and used some makeup to transform themselves into each other. The end result is so convincing you’ll be left wondering which is which.